Description 2 x copies of sepia photograph of a group of men in Army uniform, with tents behind them. Possibly a World War 1 army training camp. William Norris (Bill) Masefield is sitting third from the left in the front row. All the men hold rifles. Lieutenant W.N. 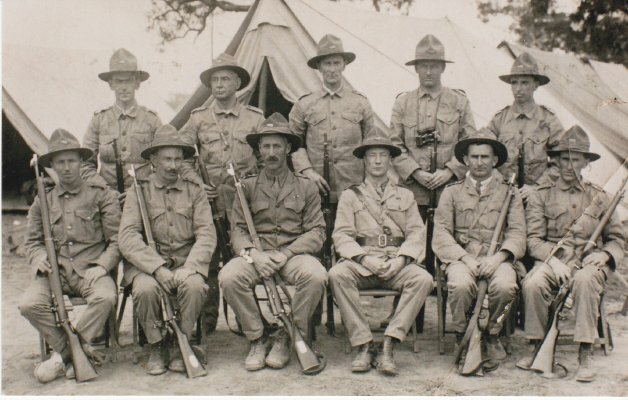 Masefield embarked on 5 February 1916 for Egypt with the New Zealand Rifle Brigade [source: http://muse.aucklandmuseum.com/databases/Cenotaph].